The Triple Blood Screen is useful for people who have already tested for HIV and do not need to repeat the test but wish to test for other infections where a blood sample is required. The Triple Blood Screen checks for: Hepatitis B; Hepatitis C and Syphilis. After you place your order we send you a kit that enables you to take a tiny blood sample at home. The method used is a finger prick that helps extract a very small amount of blood. The test kit has been specially designed for people to use at home. We have tested thousands of patients this way and most people find the device very easy to use. Once you have taken your blood sample you send it back to our lab in the prepaid envelope. The sample normally arrives the day after you post it. Results on this test are normally available within 4 hours of the sample being scanned in at the lab. 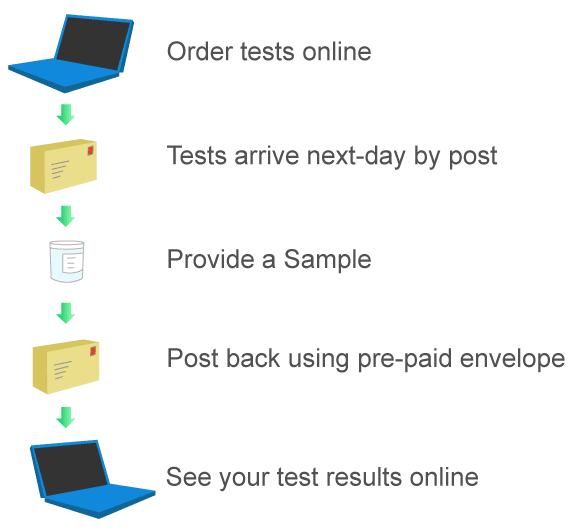 What is the Testing Method? For Syphilis, the lab is looking for IgG and IgM antibodies. These are normally detectable within 21 days of infection but they can take up to 3 months (but this is unusual). The Hepatitis B screen is looking for the surface antigen and this is normally detectable within 60 – 90 days post exposure. The Hepatitis C test is an antibody test and the normal incubation period is 45 – 65 days. Any positive test needs to be confirmed with a venous sample. We can run the Syphilis test again from a tiny blood sample to let you know if the positive result relates to a past infection or a current infection that requires treatment. Treatments for all of these infections covered by the Triple Blood Screen are not available through this clinic and you have to see a doctor face to face. If you consider yourself at risk of any of the infections covered by this test then we strongly recommend that you also get tested for HIV. We have a number of tests that include the HIV component and these are listed on this page.